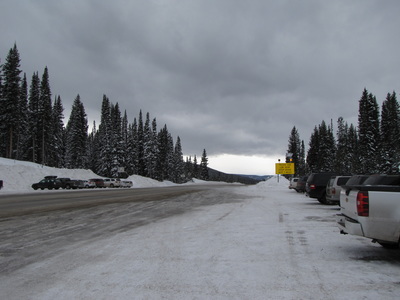 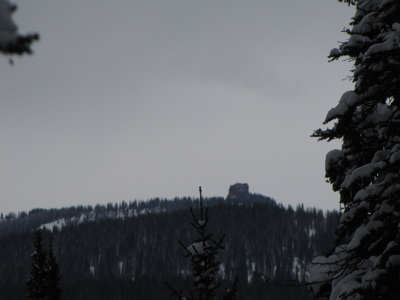 Directions: From Steamboat Springs head east on I40 up to the summit of Rabbit Ears Pass. 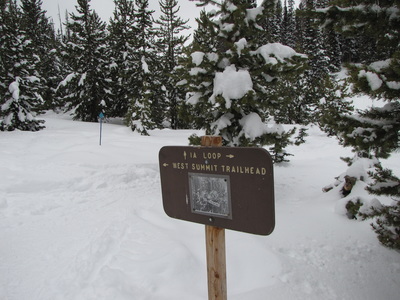 The West Summit Trailhead will be the first trailhead that you come to and the West Summit Loops are on the north side of the road. There is a large parking area. 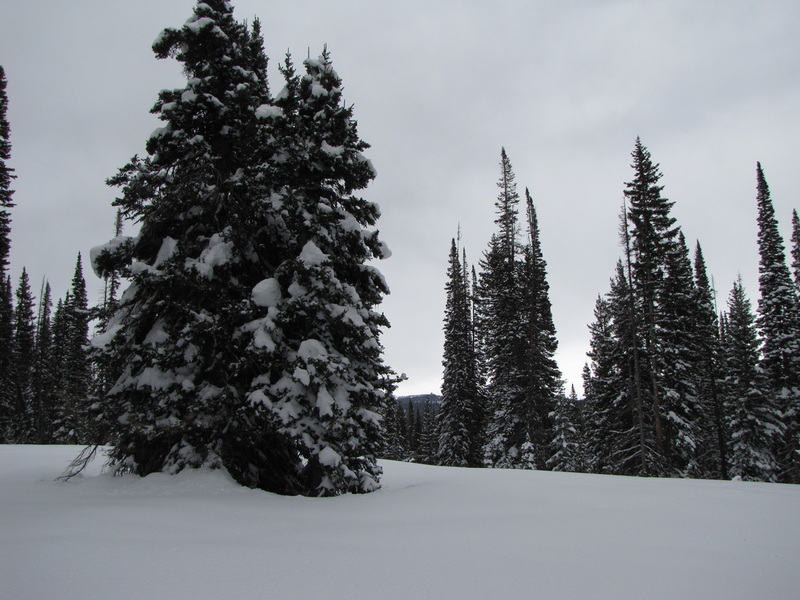 The West Summit area on Rabbit Ears Pass is a winter sports wonderland. 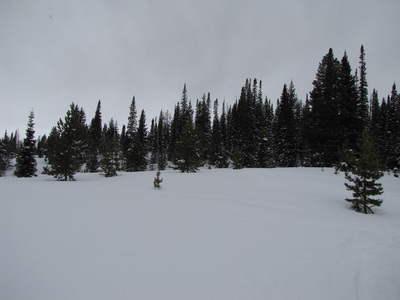 The entire western portion of the broad pass is designated for cross country skiers and snowshoers while snowmobiles are banished to the east side of the pass. 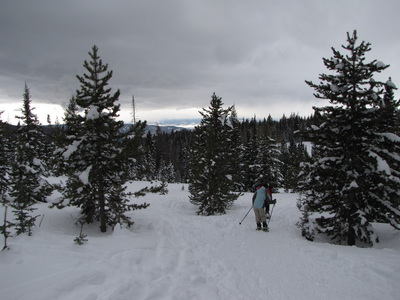 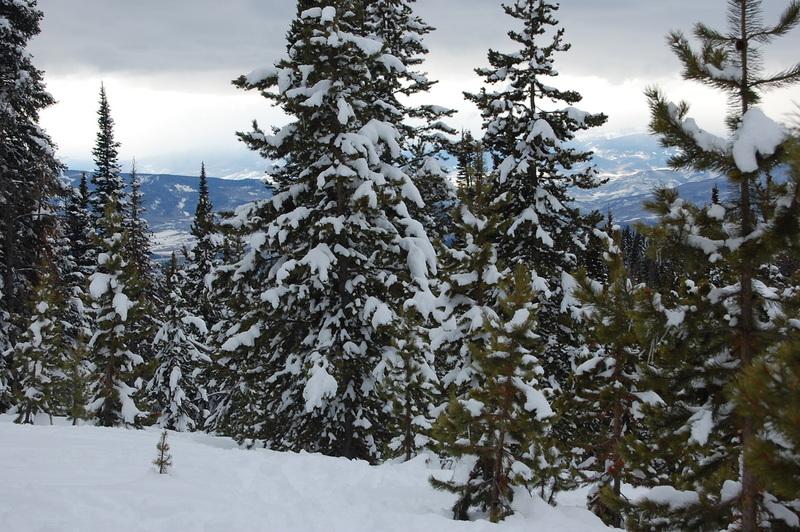 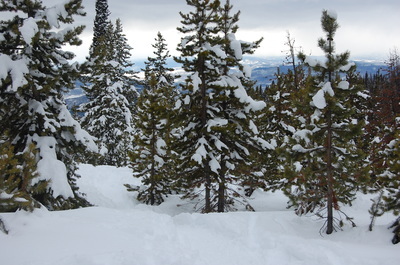 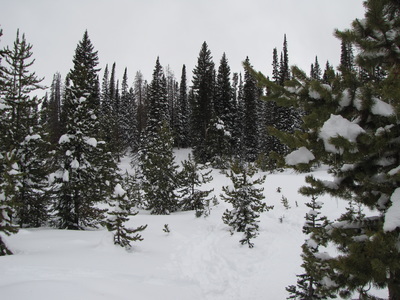 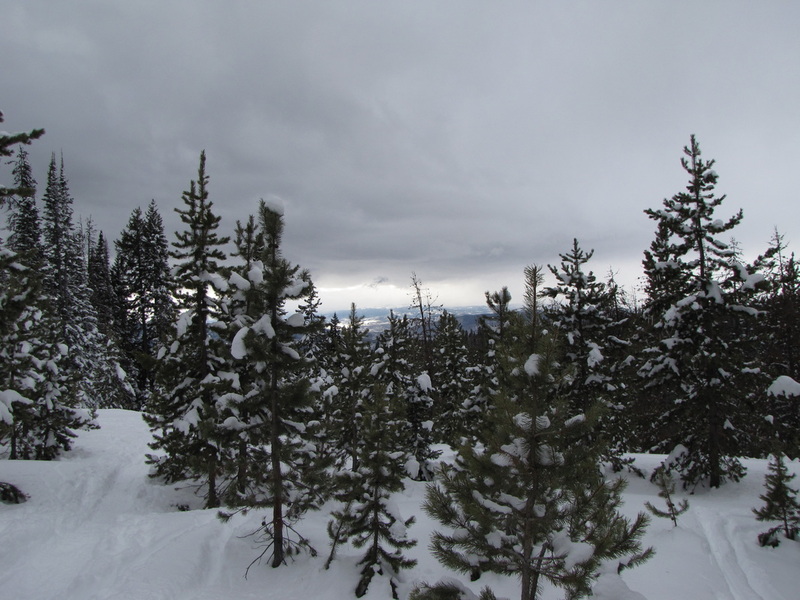 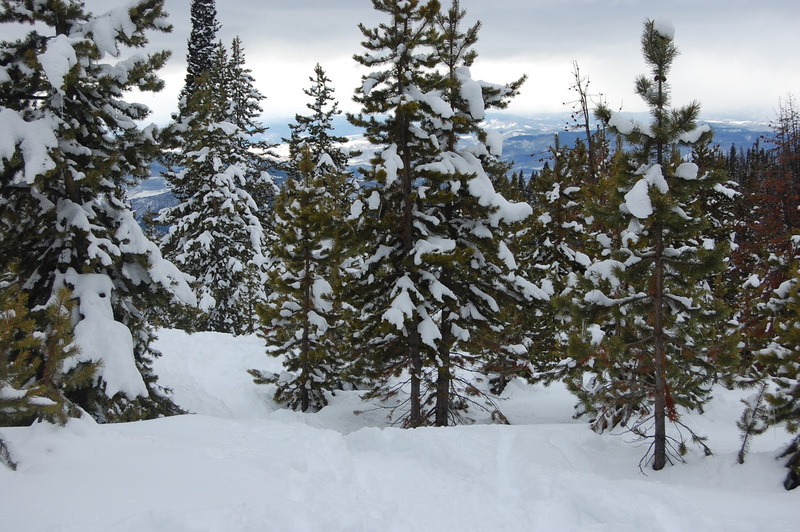 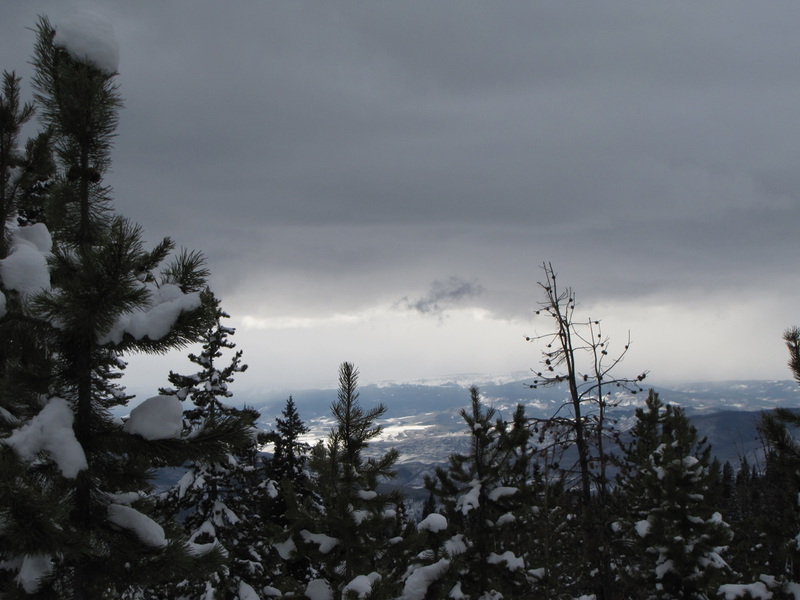 The West Summit Loops are a terrific options for moderate snowshoe hikes. The westernmost loop is loop 1A and it is the shortest of the two loops. 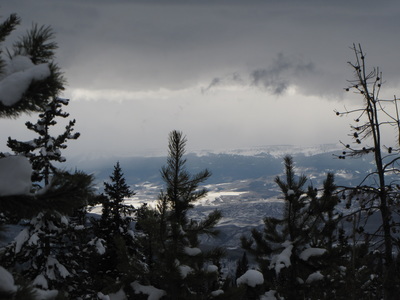 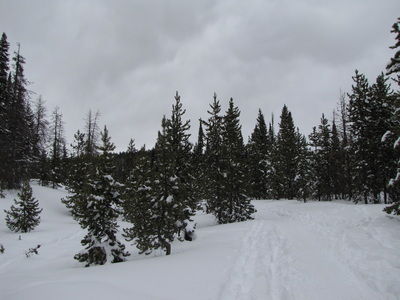 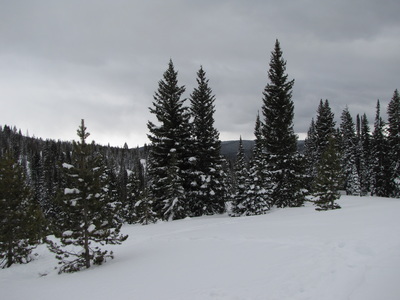 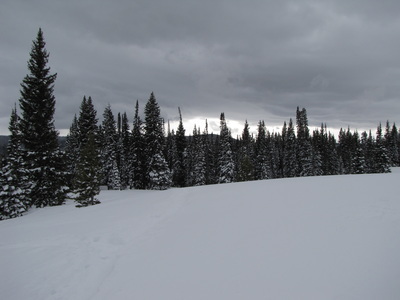 The trail, sometimes hard to follow after a good snow, traverses through beautiful and serene evergreen forest with some nice views of the Yampa Valley and the Flattops to the west. The trail begins along the road, then heads north down a ravine. 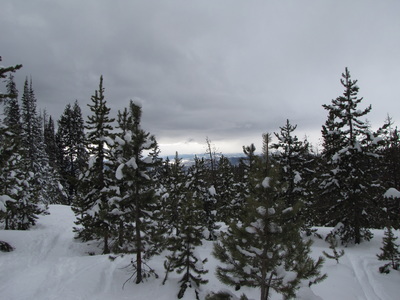 Travel up and out of the ravine to a clearing with nice viewpoints, on a clear day... Continue west and follow the loop as it ascends and descends in a steady fashion until you return back to the trailhead. 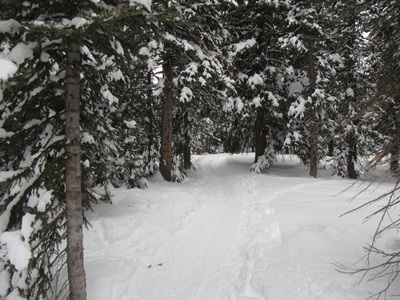 Although the trail never gains nor loses much altitude, by the end you'll have gained and lost about 700 ft. With snowshoes and deep snow, you'll find this to be quite a workout.